In context: Google showed us so-called “fake” demos at the I/O developers conference. Then it gave a handful of journalists a “real” demonstration at a Chinese restaurant in New York. Regardless of what side of the fence you are on regarding the credibility of its Duplex voice technology, so far it has only been shown in applications that enhance the company's AI assistant. According to a report from The Information, Google may be considering licensing Duplex to call centers and telemarketers. An anonymous source that claims to be close with Google's plans says that the company is already in talks with at least one firm that would like to use Duplex for “simple, straightforward customer service calls.” The interested company remains unnamed, but it is reported to be a large insurance company. Gizmodo contacted Google, which provided a statement neither denying nor confirming the claim directly. 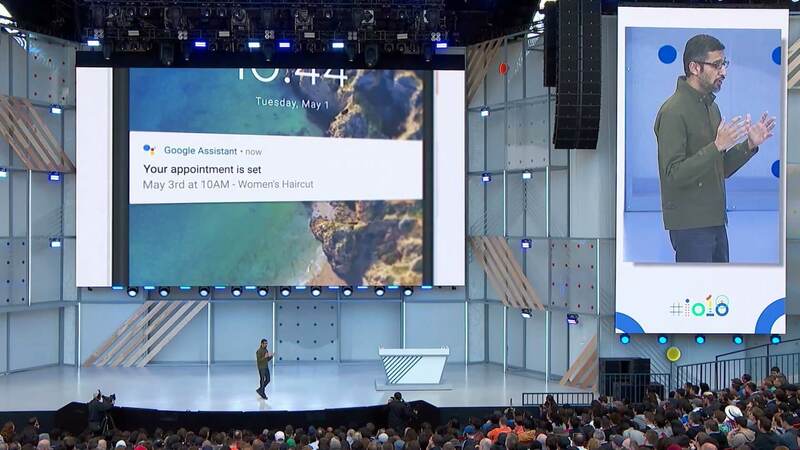 While Google's statement indicates that it is more concerned with personal voice assistant applications right now, it does not rule out pursuing enterprise customers in the future. Applying Google Duplex in call centers could be very lucrative for the search giant. According to numbers from market analysts at Research And Markets, the cloud-based customer service market reached $6.8 billion in 2017 and is expected to reach $21 billion by 2020. In fact, other companies like Amazon have already started working on cloud-based voice services to offer to companies wishing to automate simple customer service requests. Of course, there are a few negative implications of this move. Obviously, human telemarketers and customer service personnel will be displaced, which could mean the loss of 1.2 million jobs. There is also the fact that consumers, in general, do not like dealing with automated customer service systems. According to a 2015 survey, 90 percent of those calling into service centers wish to speak to a human. Another 80 percent say they rush through automated systems just to get to a live rep. Finally, releasing Duplex to the telemarketing industry is going to mean even more robocalls for the rest of us — something I think we all can agree is the last thing we need.